Are you feeling angry and resentful because you're experiencing difficult times? Billheimer suggests you shift your perspective! 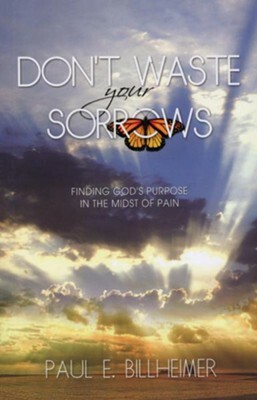 Encouraging you to view suffering as a spiritual growth opportunity instead of a punishment, he helps you discover God's purpose as you deal with the pain of family struggles, failure, aging, and more. (Slightly imperfect.) 128 pages, softcover from GS Books. I'm the author/artist and I want to review Don't Waste Your Sorrows - Slightly Imperfect.